In order to optimise the user experience, and make cost effective use of bandwidth, it is essential to understand and control how your different business applications and communications are performing over your IP-VPN. Our application performance management (APM) service includes application visibility and control (AVC), which helps you drive management simplicity and high levels of service assurance. This application-driven network solution embedded into our IP-VPN network will help you improve application performance and fine-tune your usage by being able to respond to changing business dynamics. APM provides the ability to improve the performance of enterprise applications, make cost-effective use of bandwidth, understand and then control how your different business applications and communications are performing over our IP-VPN WAN solution. You get the information you need to run networks efficiently, provide a consistent user experience across applications, locations and devices, and make sure business-critical applications run as they should. AVC identifies, categorises and reports on applications passing over your IP-VPN WAN allowing us to provide visibility for more than 1,500 application types. AVC is embedded in our network and Cisco routers, so we can dynamically optimise application performance through QoS. Application Control enables you to identify applications as they flow through the network, measure their performance, and control them using their QoS profiles. You can monitor capacity utilisation, top talkers, rogue applications, and application performance between sites using our online performance monitoring portal which provides easy-to-use dashboards and facilitates intelligent drill-down into relevant detail through tiered reporting options. The reports provide insight on utilisation globally, per site or per user, and you can also obtain data about network performance. Get greater insight into how your apps are using the network, and start5 planning the day-to-day capacity and throughput your IP-VPN needs, in today's hyper- dynamic networking environment. We help you understand the detail your applications lifecycle management process requires. Optimise business-critical processes and understand how apps are consuming your network resource. AVC is essential for ‘right sizing’ the network and ensuring the prioritisation of applications. It identifies applications as they enter the network and allocates the required bandwidth for the application to perform. It will automatically prioritise business critical applications, such as delay-sensitive VoIP and video traffic, over non-critical applications. You can also improve application productivity by ensuring the adequate bandwidth. Improved application visibility helps you provide users with a fully optimised and quality application experience. AVC enables you to measure application performance, and highlight application and network issues that can affect end-user experience. In addition, to support your future plans and growth, a transparent network of applications will make easier the adoption of new IT initiatives such as cloud services and BYOD. Your applications need to be available wherever you operate, at any locations and need to be reliable and provide you with the same quality of service seamlessly. AVC is a strategic service for the optimisation of your connectivity and helps you maintain the application performance and user experience that your particular business requires. Vodafone IP-VPN Online helps your businesses be more agile and responsive, by providing a single, straightforward web portal for your global IP-VPN service. Watch this video to see how Vodafone IP-VPN Online gives you simpler, easier and more effective insight and control to help make you a ready business. Software Defined Networking is seen as the technology to revolutionise network management, but it has many different applications. Here are some of them. Many of us rely on virtual assistants for quick tasks such as getting directions, scheduling appointments and responding to messages. But these haven't changed much since 2011. Granted, we now issue instructions to a wider variety of devices but voice has yet to become a mainstay in the workplace. 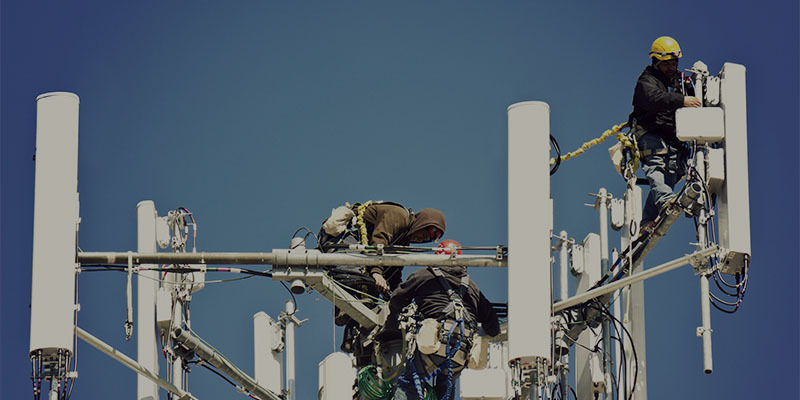 See how Vodafone satellite services can give you continuous, secure and reliable connectivity even at remote locations as this is essential for success. Take a strategic approach to fixed line. Reduce costs and provide superior value through more effective management of fixed and mobile communications.